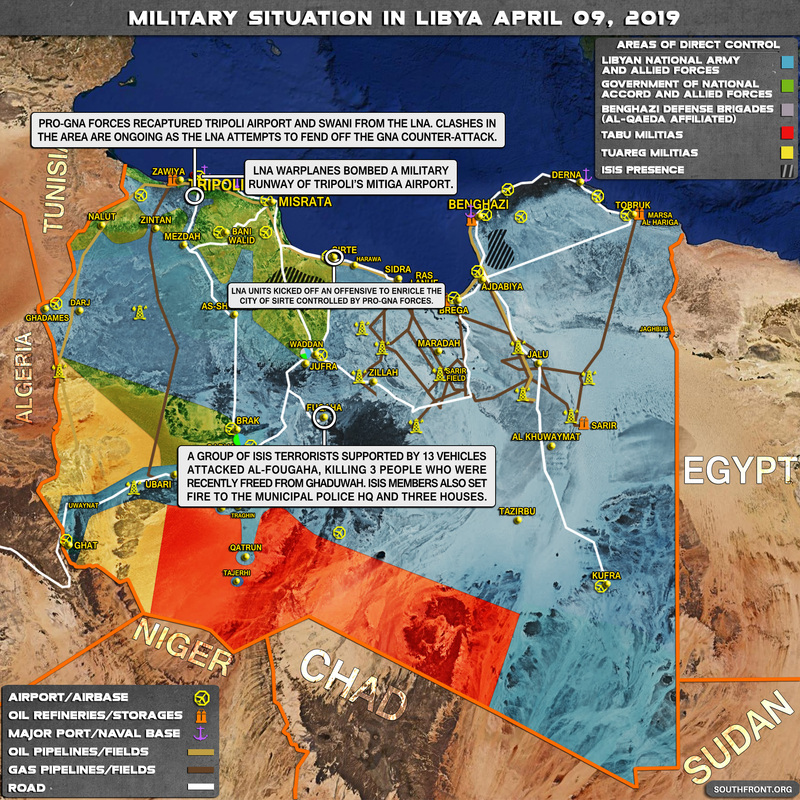 Military Situation In Libya On April 9, 2019 (Map Update) 4.75 out of 5 based on 4 ratings. 4 user reviews. A group of ISIS terrorists supported by 13 vehicles attacked al-Fougaha, killing 3 people who were recently freed from Ghaduwah. ISIS members also set fire to the Municipal Police HQ and three houses. Hasbara Hunter – .”AngloZioNazi”? What the hell is that? I’m telling you it sounded a lot better inside your head but… Who the hell is an “AngloZioNazi”? Or better yet who isn’t, according to you? 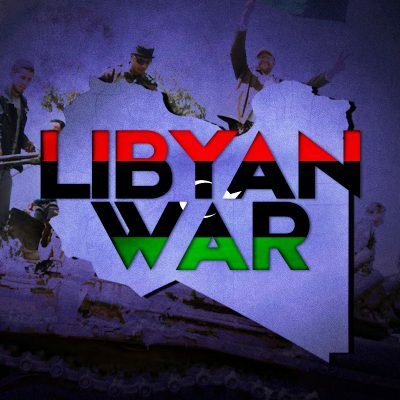 Because of Libya’s position in Northern Africa it’s important that either the USA, Russia, or China, whoever has the competitive advantage in the field there prevents the 7th century minded Muslim radicals to take over that country. It’s time to think rationally and understand that no matter what, in the end someone is going to take over that country as a dictator because Libya is really a sorry excuse for a country and, like many “countries” in that neck of the woods it is nothing more than a bunch of tribes, each with its own very narrow interests and expectations. So it will be a.A Marxist dictator, and Muslim dictator, or a pro-West dictator. If I could influence who ends up in power there I would strongly recommend a pro-West dictator. No surprise here, after barry and Monica’s boyfriends wife had Gaddafi assassinated, for not being muslim enough, the country has been in turmoil.. Your tin foil hat is seriously too tight. I think it is to late to attempt to salvage the situation. The globalists have lost and your trolling will not change this. This was Hilarys war sold to Obama so that she could show everyone she had balls to be President. With her gloating should have shown everyone what a psychotic nut job she really was yet people still fawn over her as if she was the Messiah. And to Steal 143 Tons of Libyan Gold & Lots of Oil from the Libyan Peoples….Who is going to give that Gold & Oil Back? the people who fawn over her are psychotic nutjobs. if trump had used that video during the 2016 election, he would have been excoriated by the LGBT media. So you are saying jew haters hitlery and odumbo were working for the Jews & Knights Templar. Yup…Skull & Bones….Every U.S. President is a Puppet in the Hands of the Puppetmaster…. So you are saying a president whose White House staff was mostly Jewish is a jew hater. And Donny blows Israel daily. As the map shows, virtually all of Libya’s oil fields are under LNA control, and a growing number of airfields. LNA has secured their back towards the East. Tripoli and the rest of the coastal strip is economically and militarily isolated and is now completely dependent on aid from abroad. Military aid to GNA will prolong the conflict but will change nothing in the long run. It would be best if they admitted reality and started negotiating.